As an initiative to carry forward the mindset of the company’s Blue-Drive (eco-friendly), Hyundai Motors India Ltd launched the new variants of the Hyundai Eon - D-Lite +, Era + and Magna + - that will be also be offered with the option of LPG. Coming from the leading passenger car exporter of India, these latest compact hatchbacks segment entrants are going to come out in the market with additional innovative features. The new cars will be powered by both petrol and LPG, an option facilitated through a switch present on the dashboard. The Hyundai Eon price for these entrants will be around INR 3 Lacs (ex-showroom Delhi price being INR 2.8 Lacs). 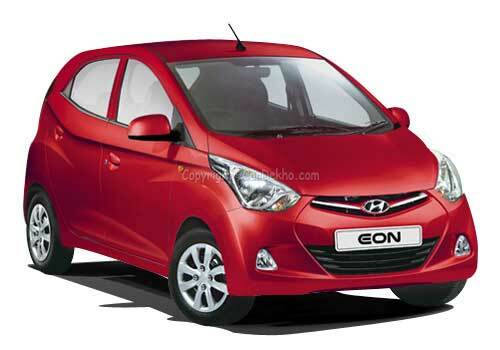 Considering the new options, the Hyundai EON LPG will be costlier than its petrol version by INR 27000. The hatchback will have factory-fitted separate petrol (32 litres) and LPG (34 litres) tanks and a two-year warranty. Speaking on the occasion, H.W Park, Managing Director and Chief Executive, HMIL, said that the idea behind the new variants will be to offer extra value to the customers. “The D-Lite plus offers a host of features all for less than Rs 3 lakh. Similarly, Era+ and Magna + also offer enhanced features. The idea behind the new variants is to offer extra value to our customers,” Park added. Hyundai EON review the variant D-Lite+, priced at INR 2.98 (ex-showroom Delhi), boasts of features such as air conditioning, power steering, gift shift indicator and body coloured bumpers. Priced at INR 3.12 Lacs (ex-showroom Delhi), the Era + has front power windows and central locking whereas the INR 3.42 lakh (ex-showroom Delhi) priced Magna+ will come with a 2-Din audio system with USB, Aux and several other features it will be well suited to the indian customers.